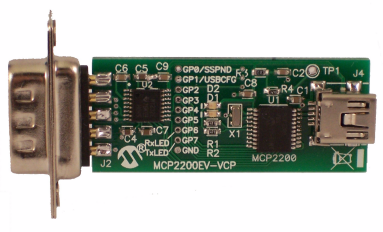 The MCP2200EV-VCP is a USB-to-RS232 development and evaluation board for the MCP2200 USB-to-UART device. 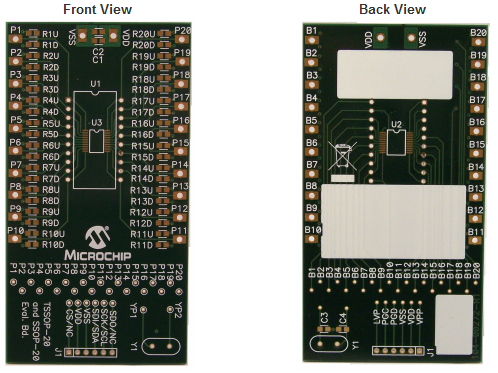 The board allows for easy demonstration and evaluation of the MCP2200. The accompanying software allows the special device features to be configured and controlled. 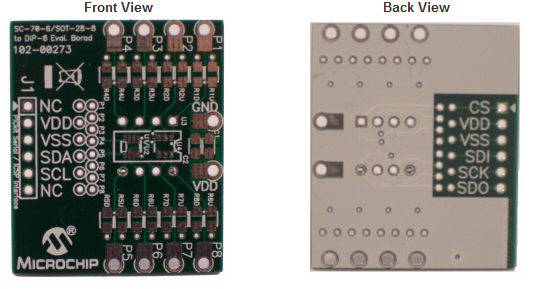 The board is powered from USB and has a test point associated with each GPIO pin. 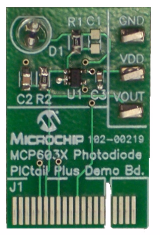 In addition, two of these pins are connected to LEDs which can be used to indicate USB-to-UART traffic when the associated pins are configured as TxLED and RxLED pins respectively. 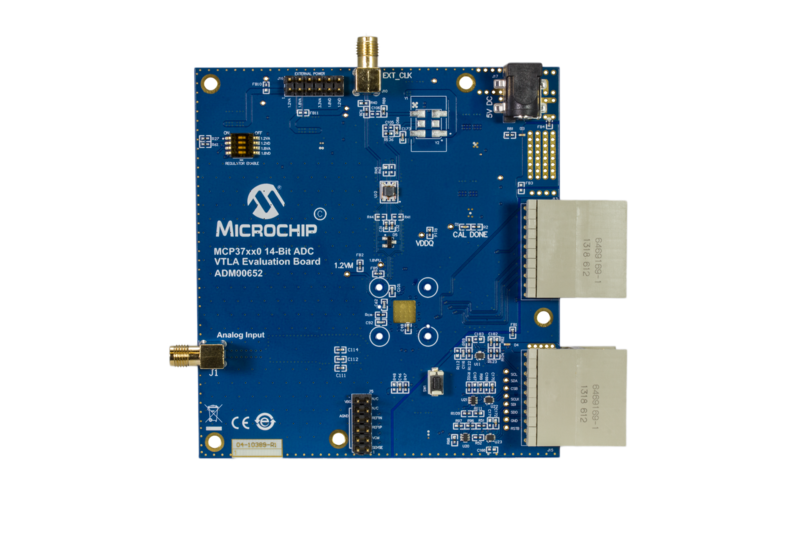 The MCP37XX0-200, 14-bit 200 Msps ADC VTLA Evaluation Board (ADM00652) provides the opportunity to evaluate the performance of the MCP37XX0-200 Device Family. 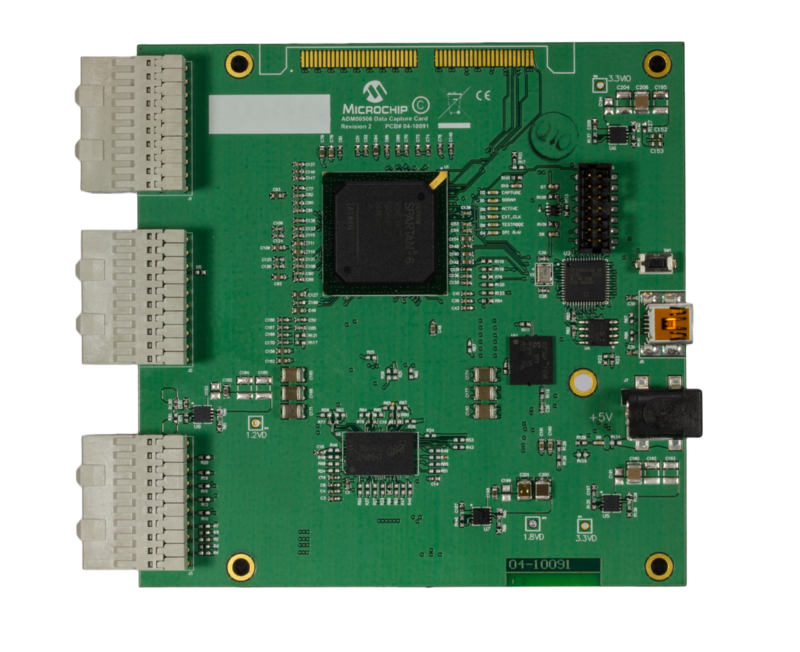 With the MCP37D20-200, 14-bit 200 Msps single channel pipelined A/D converter on-board, the user can evaluate the functionality of the 14-bit (or 12-bit) 200 Msps A/D converters and the digital signal processing features. 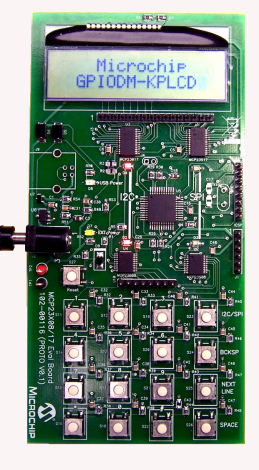 With the help of a compatible data capture card, the evaluation board can provide the user with performance analysis features through the PC GUI. Contact local sales office for availability and pricing.